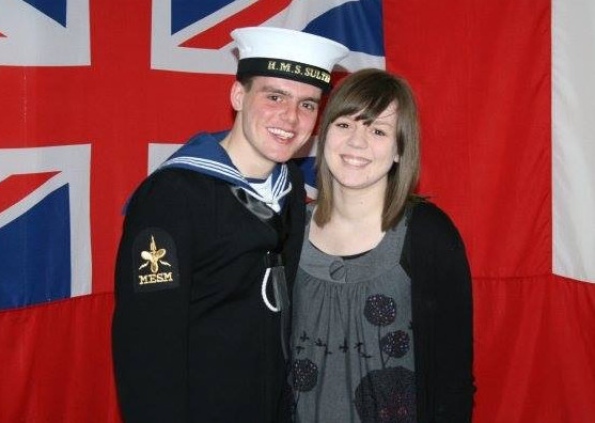 Royal Navy submariner, Christopher Payne, 22, was killed instantly in the crash on the B6179 Derby Road near Coxbench on September 5, after failing to negotiate a bend near the A38 bridge. Christopher, a marine engineering technician, had just returned home from his post on the HMS Triumph in Plymouth that day. Fighting back tears, his dad Dean Payne, said: “I am so proud of my son and what he achieved in life. I am proud of the job that his mother Debbie and I did in raising him to turn out to be such a wonderful young man. Hundreds of mourners descended on Brimington Crematorium last Thursday to pay tributes to Christopher – known as Max to his fellow sailors – as he was honoured with a full military funeral. Amongst them were more than 60 members of the Royal Navy who were able to attend en masse because of a fault with the submarine that delayed their launch. He described his nephew – a lifelong Spireite – as a typical teenager with a cheeky grin, who always looked out for his younger sister, Danielle, 19. Christopher, who was born in Spital and divided his time between Brimington and Holbrook while on leave, will be remembered by a signed Chesterfield FC shirt donated by the club, to hang in the HMS Triumph. Chris Brownley, fellow submariner, said: “A lot of the lads are finding it quite hard without him, and we are all finding it hard to concentrate. This entry was posted in UK Submarines and tagged Christopher Payne, HMS Triumph, Motorcycle accident on September 30, 2013 by jasonlockley.